Im hooked in Jade Calhoun! V.C. Andrews WAS my favorite author but you have taken that place. I look forward to the next book in the series & the continuing if the series for many more books to come. Forgot to tell you, demons was awesome. I read it in less than 8 hours! OMG!! This book was awesome and I couldn’t put it down just like the other 2 in the series! I cannot wait for “Anngels on Bourbon Street” to come out! The relase date is burned into my memory :} Keep up the great writing and I look forward to reading many more of your books! Sorry for the misspellings. I got caught up in the moment and posted the reply to quickly! I love love love this series im not a big reader but as soon as I found Haunted on burbon street I was hooked. I just finished Demons on Burbon street I was in tears with this one. I cannot wait for the next. 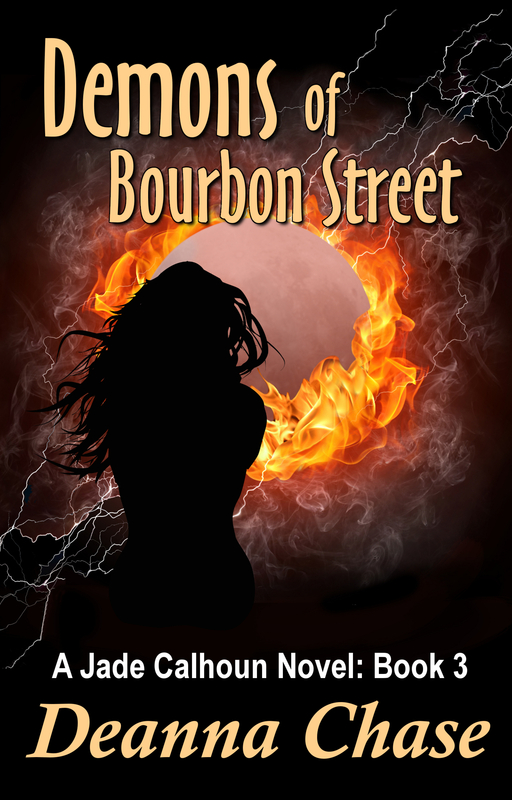 When does Angels of burbon street come out? I came across your books by chance. Honestly I can’t recall what I had been searching for. But in the past 5 days I finished the first 2 books and will be off to start this one. Seems I have somewhat good timing since it looks as though the fourth book should be out next month. Waiting isn’t a game I play well! 😉 At any rate I am loving your writing style, I wish you all the best! I found your first book “Haunted on Bourbon Street” while surfing thru the free books. It sounded intriguing so I said ‘why not’. I read that book in one sitting. I just could not put it down. Immediately after finishing I got the second book. I just got the third book the other day and I finished it this morning. I’m looking forward to the next book. I also think I’m going to have to check out your new series. If it is anything like this series it will surely be a smash! I found the first book in the Jade Calhoun series some time last year while searching for free books on the Barnes and Nobles website. I have been hooked since then. I just re-read the first book, read the second book and now finishing up the third book. You are a very talented author and I love your imagination. I wish I had half your talent. I was supposed to go out on Saturday night but I was so caught up in the book I stayed home. Keep up the good work! !